Day 1 Rochdale Harriers Three Day Event | Rochdale Harriers & A.C. This race is best describes as ‘a fell race on the road’. 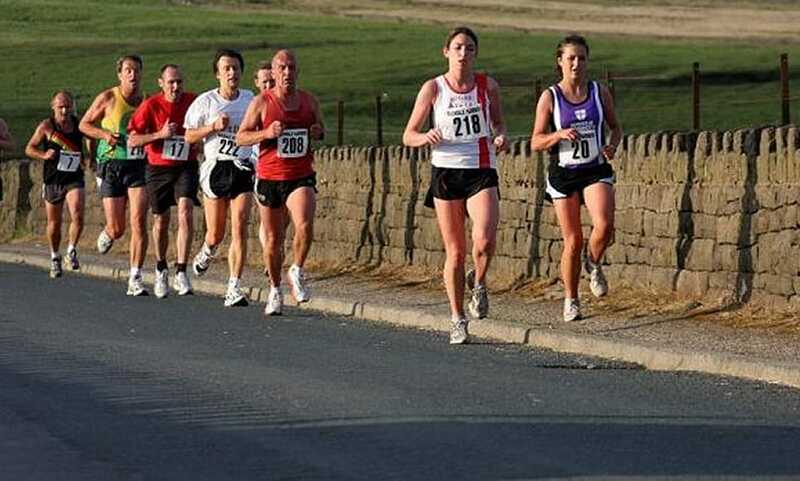 The course starts at the bus terminus in Norden and travels uphill for the first 1.5-2 miles, up Edenfield road. The views are well worth the tough climb. Then its left and down Ashworth Valley Road on an undulating descent, left onto School Lane and down to the farm. The climb up from the farm to Clay Lane is, to my mind, the hardest part of the course. Then its a deceptively long run from Clay Lane towards Rochdale, back round into Norden and back to the bus terminus. A tough 6 miler with views very few 6 milers can compete with.